Rhode Island basked in the national spotlight today with the debut of the 45th quarter in the America the Beautiful series, featuring the Block Island National Wildlife Refuge. The quarter, designed by artist Chris Costello, depicts a black-crowned night-heron flying over a view from the beach at Cow Cove looking towards Sandy Point. The North Light lighthouse is seen in the background. Located 12 miles off the southern coast of Rhode Island, Block Island is a haven for migratory birds and a must-visit location for birding enthusiasts. The Block Island National Wildlife Refuge was established in 1973 and, covering 133 acres, serves as a critical migratory bird stopover point on the Atlantic Coast. The island is renowned for its dramatic cliffs, unspoiled white sand beaches and pristine nature trails. Just this year, Thrillist included Block Island in a list highlighting the country’s most underrated beaches. 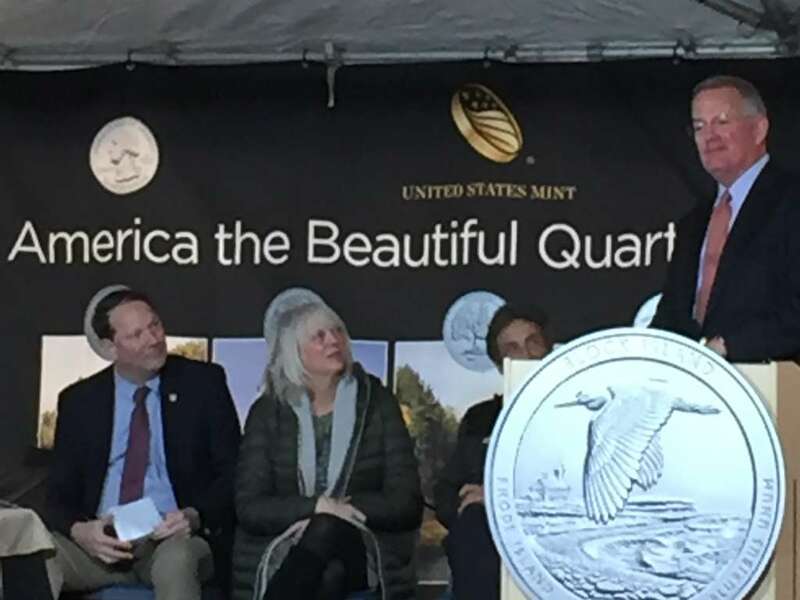 Only five quarters are released each year as part of the America the Beautiful Quarters program, a 12-year initiative which began in 2010. 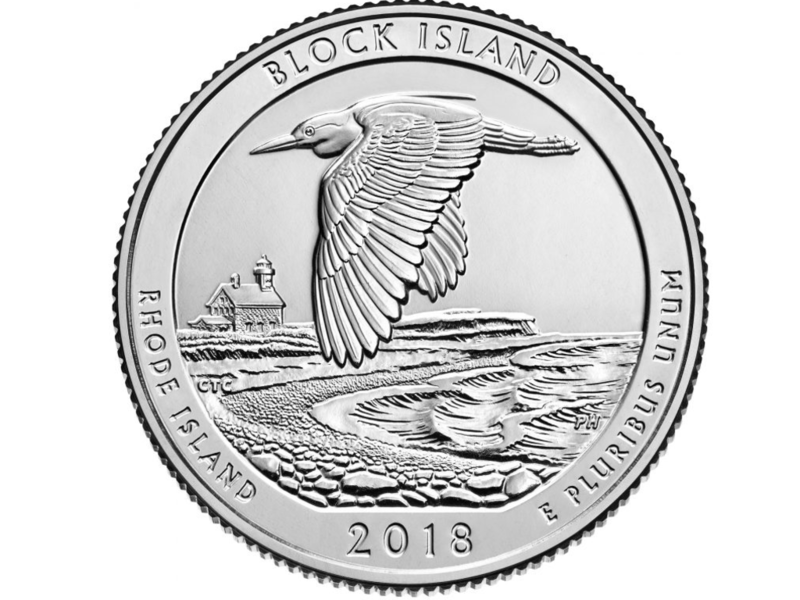 As the last quarter in the series to be minted and launched this year, the location of Rhode Island’s quarter stands out because it is one of only two coins depicting a wildlife refuge. And we are in good company with locations like Mount Rushmore National Memorial and Yosemite, Yellowstone and Grand Canyon National Parks. U.S. Mint Director David Ryder noted the unique fact that, amongst all the great national parks depicted on other state quarters, the location of the Block Island quarter stands out yet very much belongs in that distinguished group. 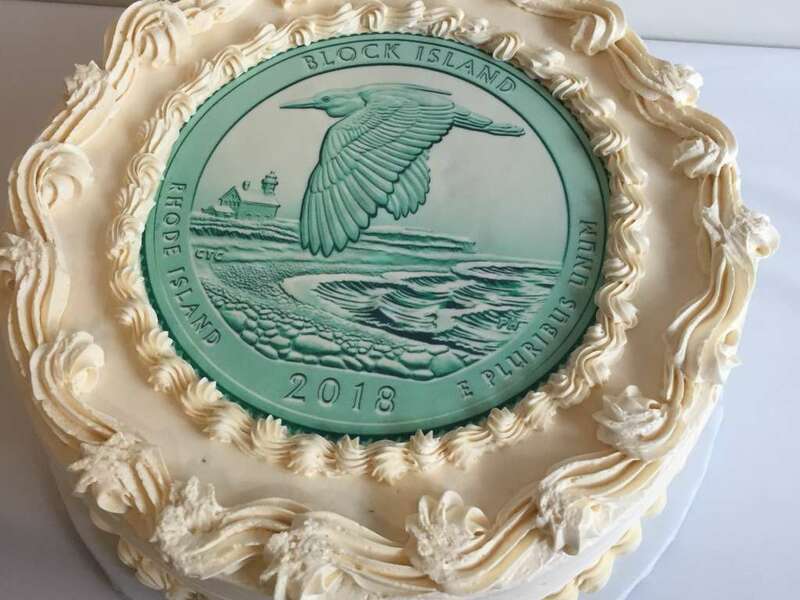 “The image captures the essence of Block Island and why the refuge is perfect to appear on the quarter,” Ryder explained. He told schoolchildren in the audience that he sees the quarter and the image on it as a legacy for the future. The schoolchildren were among the lucky few to be the very first to receive the quarter after the ceremonial first pour by officials. 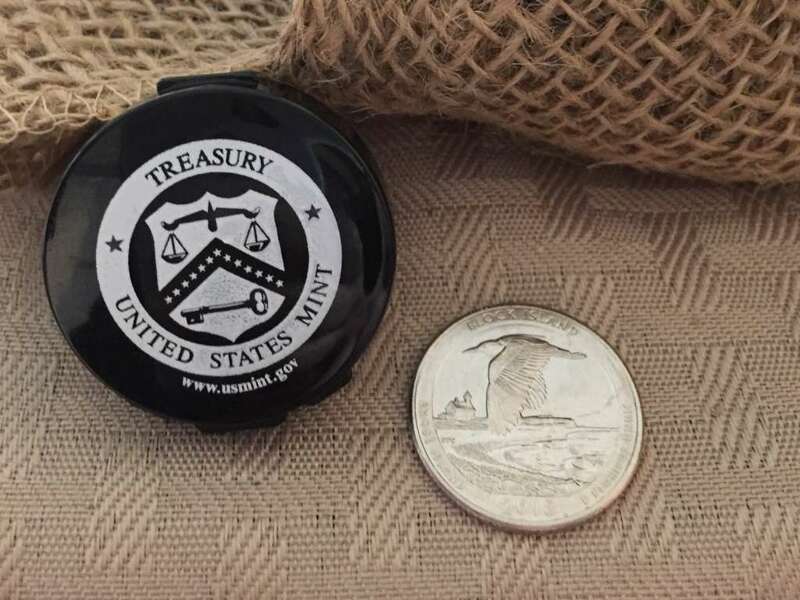 Next time you get a handful of change, keep an eye out for the shiny new quarters depicting one of the Ocean State’s most beloved natural treasures. Better yet, plan a trip to Block Island to discover it for yourself.